Are you searching for a really comfortable black nursing bra? 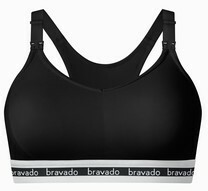 Then we highly recommend the Bravado Original Full Cup nursing bra. We have sold this full cup version since 2007 and it has always been really popular with our customers. So what makes it such a good nursing bra? Well, we think you will love how comfortable it is thanks to the cozy cotton and model fabric. 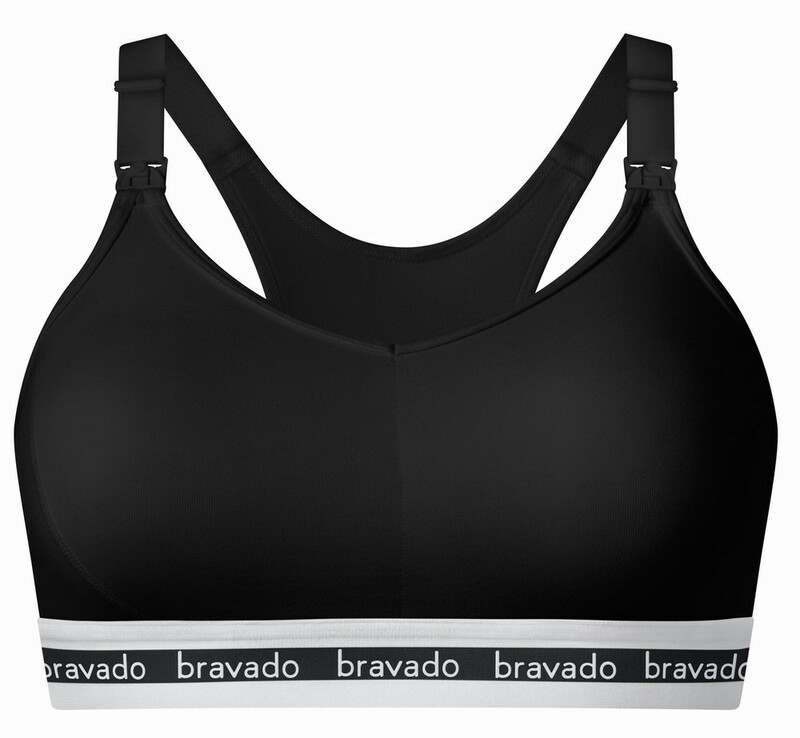 We think you will also love how breathable the fabric is in this bra. How about the construction of this nursing bra? It has a wide bottom band as well as a smooth racer-back which will give you a sportier look! Not sure which size nursing bra to choose? Then this may be a perfect choice for you thanks to the flexible sizing system. So, rather than picking, for example, a 36F, you would pick either Small, Medium, Large or Extra Large. Each size covers a range of sizes. This makes it easier to pick the right size bra for you. It also means that as your size changes, the bra should still remain really comfortable. Please see the table below to see which is the right size for you. Breastfeeding advisors suggest you should, if possible, avoid underwires during your nursing months. So you may be please to know this bra is wirefree. It also has full drop away bra cups to allow full skin-to-skin contact for your baby. So why might this be the perfect nursing bra for you? If you want a comfortable, black full cup nursing bra, then this is a really good choice. Our customers have loved it for over 10 years now.